There are a couple of different ways to add a new contact. 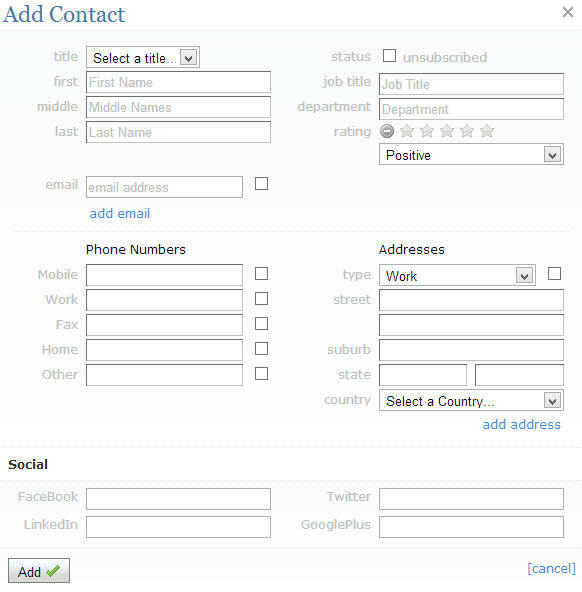 If the contact is from a particular company, the company needs to be added first. The only required fields are a first OR a last name. How to you add a contact photo?